Many people overstress their vehicles in the summer, pulling trailers, campers or fifth-wheels with boats, sometimes exceeding their rated towing limits. Severe-service conditions and hot summer temperatures place extreme pressure on transmissions and differentials. Modern turbo diesel trucks and vehicles with V-10 engines boast more horsepower and torque than their predecessors, subjecting their differentials to increased levels of stress and heat. Gear oils must provide adequate wear protection, while also providing maximum fuel efficiency. The extreme pressures and temperatures generated by modern vehicles towing or not can lead to a serious condition known as thermal runaway. As temperatures in the differential climb upward, gear lubricants lose viscosity and load-carrying capacity. When extreme loads break the lubricant film, metal-to-metal contact occurs, increasing friction and heat. This increased friction and heat, in turn, results in further viscosity loss, which further increases friction and heat. As heat spirals upward, viscosity spirals downward. Thermal runaway is a vicious cycle that leads to irreparable equipment damage and ultimately catastrophic gear and bearing failure. AMSOIL Severe Gear® Synthetic Gear Lube (SVG, SVT, SVO) and Signature Series Synthetic Automatic Transmission Fluid (ATF, ATL) provide maximum protection in demanding environments such as towing, hauling and commercial use, providing increased lubricant film protection and reduced wear at elevated temperatures. Signature Series Synthetic Fuel-Efficient ATF was submitted for a field trial at an independent test facility to prove its ability to protect transmissions in the severe, high-heat environment generated in real-world towing scenarios. A loaded trailer was towed on real highways and city streets throughout the trial. Signature Series ATF handled the punishment with ease. Throughout 115,000 miles in severe service – nearly 4x the manufacturer recommended severe-service drain interval – Signature Series ATF delivered outstanding protection for gears and clutches and maintained smooth shifts. On a side note Americas drivers will want to know, Lubes & Greases magazine years ago published an article about how over 100 pieces of equipment were having transmission failures in the Portland Longshoreman fleet. In particular were the Allison equipped trucks and they tried several transmission fluids and additives to see if they could improve the transmission life-span and a common downtime issue of failures under warranty. 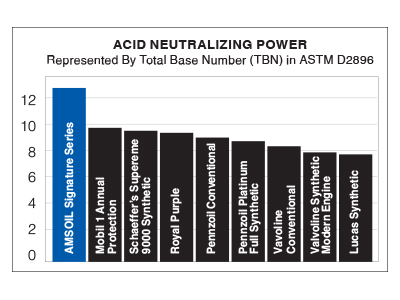 As written in the article, AMSOIL was the last one on the list (Automatic Transmission fluid – Signature Series) and since using they haven’t had a single failure since! Be sure to ask for our Las Vegas Taxi Cab Endurance Study on the Automatic Transmission Fluids. It will amaze you or just try AMSOIL in your vehicles and start reducing downtime and save on fuel now. 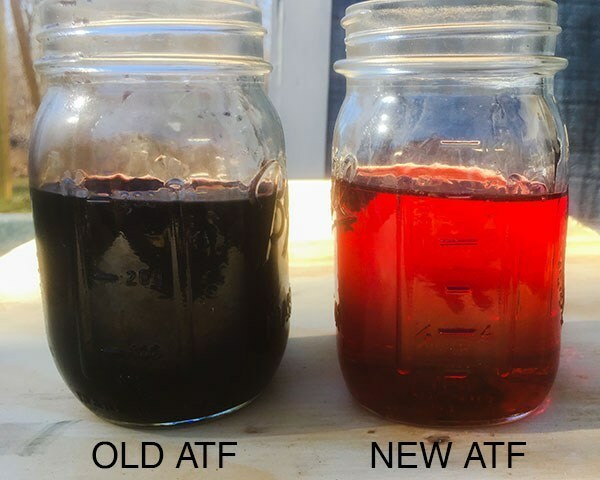 If you are making payments on that truck or don’t want to have to buy the next years technology surprise, AMSOIL earns customers directly because of this knowledge of preserving the life of your drive train beyond typical ownership. And that can mean significant money saved. Differential Stress – No Metal to Metal contact any longer! This is what you should expect with AMSOIL products and why our products sell!